See what others are saying about Osprey Shores Resort. Experience luxury Nova Scotia accommodations and gourmet dining in an historic inn. Your Nova Scotia resorts destination on Marine Drive, Osprey Shores & DesBarres Manor offer a range of vacation packages, from gourmet getaways to family vacations. Experience Osprey Shores Resort, Nova Scotia’s oceanfront vacation getaway on the Eastern Shore. Our 60 acre peninsula surrounded by the waters of Guysborough harbour at the head of the Atlantic Coast’s largest bay has been an historic landmark for more than 400 years. Nestled between Mussel Cove and Cutler Cove, Osprey Shores is the ideal location to explore Nova Scotia’s Eastern Shore, Cape Breton Island and the Marine Drive Trail or relax and enjoy the picture-perfect historic village of Guysborough with its renowned dining, craft brewery, distillery, unique shopping and exceptional recreational activities. Nova Scotia resort lodging at Osprey Shores reflects the simple, authentic friendliness for which the Eastern Shore is known. The resort has ten relaxing motel style guest rooms looking out over Mussel Cove. The tasting room at new Authentic Seacoast Distillery & Brewery is the check in for Osprey Shores. We look forward to helping you make Osprey Shores your Nova Scotia vacation destination on the Eastern Shore. Osprey Shores Resort is offering certified Pet Friendly accommodations in Nova Scotia as a member of Pets Can Stay™, a North American certifying organization of quality, pet friendly lodging establishments. Our dog friends receive a special doggie welcome package. Touring Nova Scotia by motorcycle is one the fastest growing vacation trends and the beautiful seacoast vistas of Chedabucto Bay have made Osprey Shores one of the favourite destinations for motorcycle touring travellers. 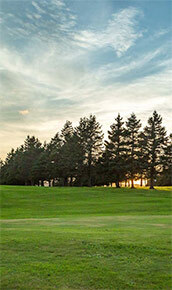 We look forward to welcoming you to Osprey Shores for quality Nova Scotia resort accommodations and recreation.